The world slowly builds into a CG blizzard as Mill artists added details of dust and snow to the vegetation, a frozen tree explosion, and a whirlwind of CG flurries. 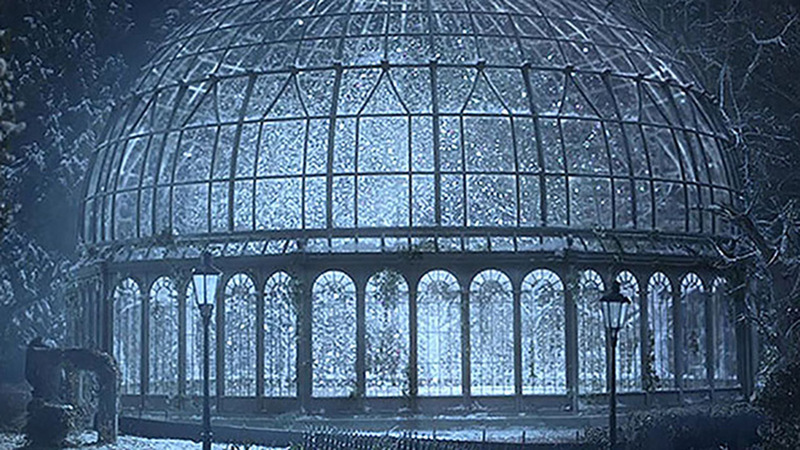 To ensure a realistic "snow globe" effect, the team examined large snow globes to research how the miniature, fake snow encased worlds would actually appear through warped glass. Watch the world come to life in the side-by-side comparison below and find out more about the work here.